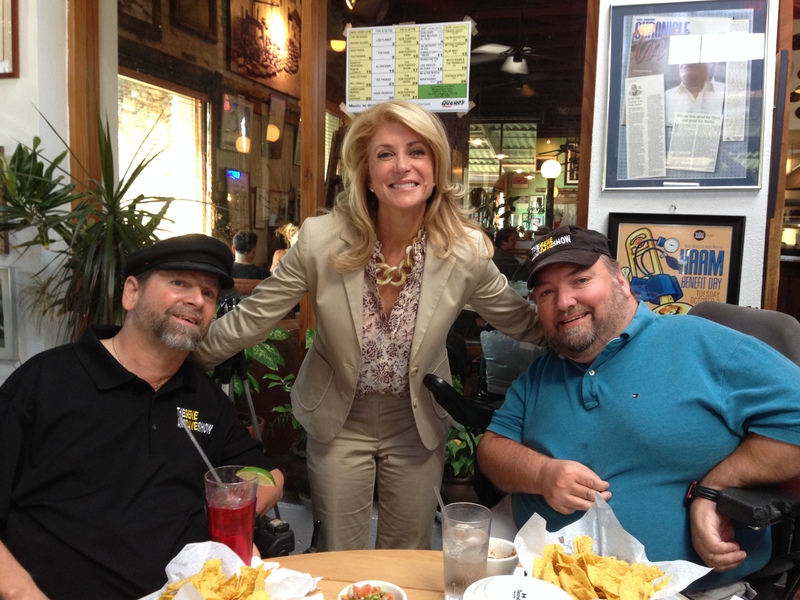 We met with Wendy Davis to discuss her political views. We support her image of the empty wheelchair in her ads. We wonder where she got that idea. Be sure to view video link above picture.